We thought we’d try something new in Chicago this month, so instead of picking our winner in the smokey backroom of an undisclosed location like we usually do, we invited six finalists to pitch their project proposals to a live audience and let the crowd decide on the winner. All six of the projects were certainly worthy of a thousand-dollar grant, but after hearing all the pitches and engaging in 20 minutes of intense deliberation the dedicated crowd at the Next Door Café rose to the challenge of selecting a single winner for the night. 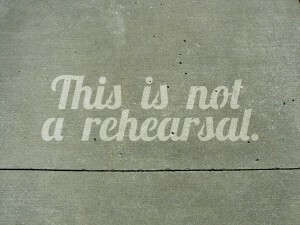 Clean Graffiti: positive messages pressure-washed into the grime of the sidewalk. Elizabeth Ortiz & Gilberto Sandoval, two teenagers from Yollocalli Arts Reach, delivered an enthusiastic pitch for their “Clean Graffiti” project that won the audience over. 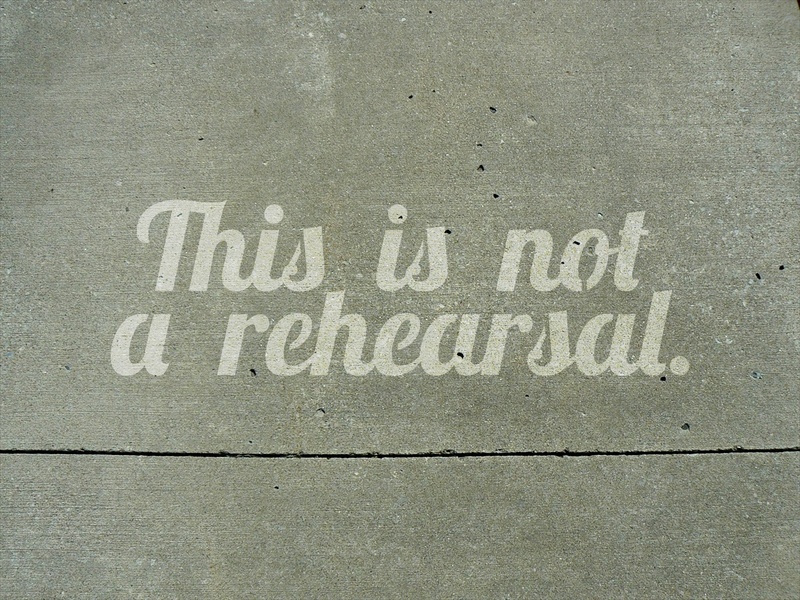 The idea is simple, creative, and compelling: they’re going to make stencils, rent a pressure washer, and blast positive messages into the grime of the city’s sidewalks. In doing so they’re flipping the idea of graffiti on its head, replacing the defacement of public property with an act of civil service (cleaning the sidewalks) and turning the negativity of gang tags into encouraging messages. Congratulations to Elizabeth and Gilberto, and a big nod of recognition to Yollocalli for engaging and fostering such promising kids. 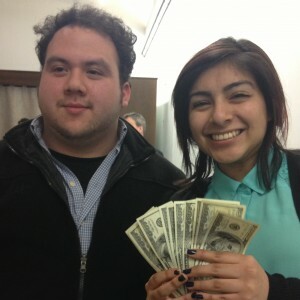 Gilberto Sandoval & Elizabeth Ortiz of Yollocalli Arts Reach.